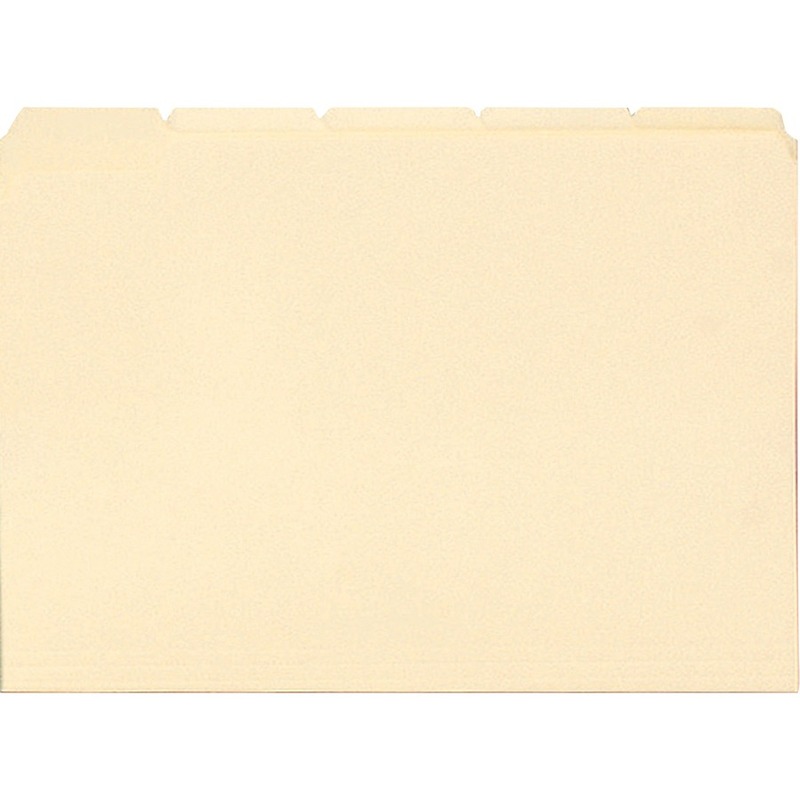 Letter - 8 1/2" x 11" Sheet Size - 3/4" Expansion - 1/5 Tab Cut - Assorted Position Tab Location - 11 pt. 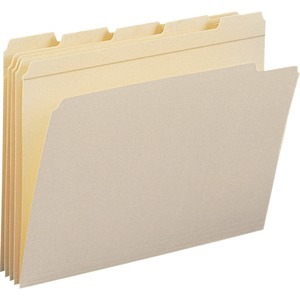 Folder Thickness - Manila - Recycled - 100 / Box"
More durable than standard file folders, these file folders feature full-width tabs reinforced to provide the extra strength where you need it most. 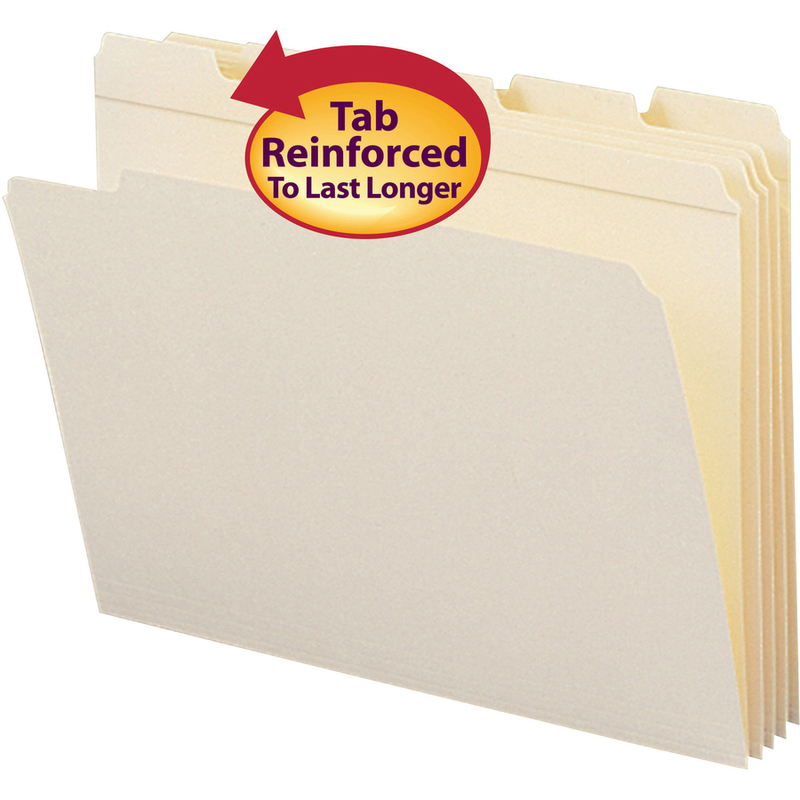 These long-lasting, 1/5-cut tabs make the folders ideal for organizing files or archives. Tabs are 1/2" high and 1/5-cut in assorted positions. Sturdy, 11 point construction of the file folders protects documents. Corners are rounded in front and back. 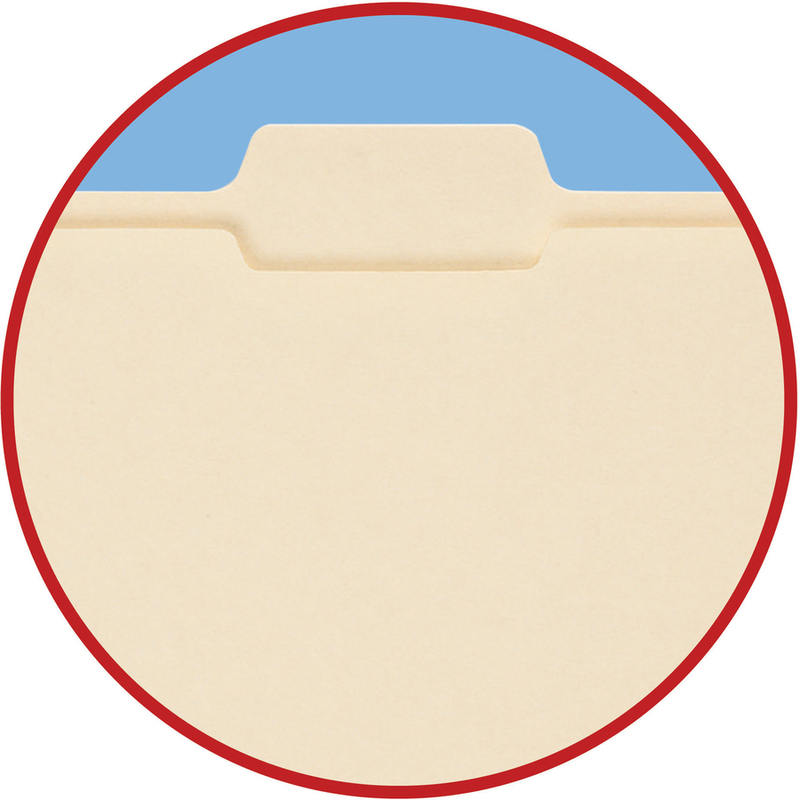 Letter-size folders are also scored for 3/4" expansion.